Mother of our Luken...a fabulous boy! Wildlife Ranch introduces you to YODI. 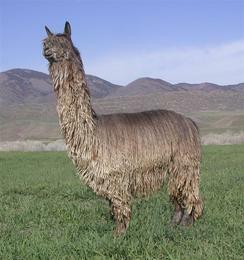 He is the son of 4P Silver Bullet and 6P Infinity Grey, both of his parents exhibit strong gray fiber. These "true gray" genetics are imported straight from Peru. This pair hit the bullseye with Yodi! 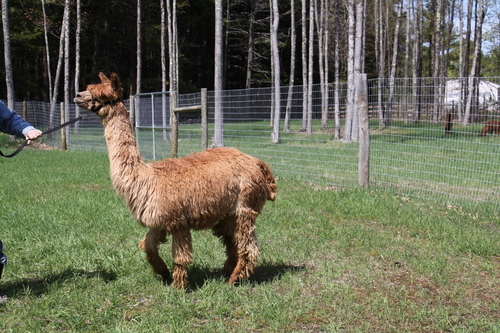 He is a Full Peruvian gray out of two grays, producing 3rd generation gray crias!